Is there anything more effective than good cured roe for salmon? Not that I’m aware of. 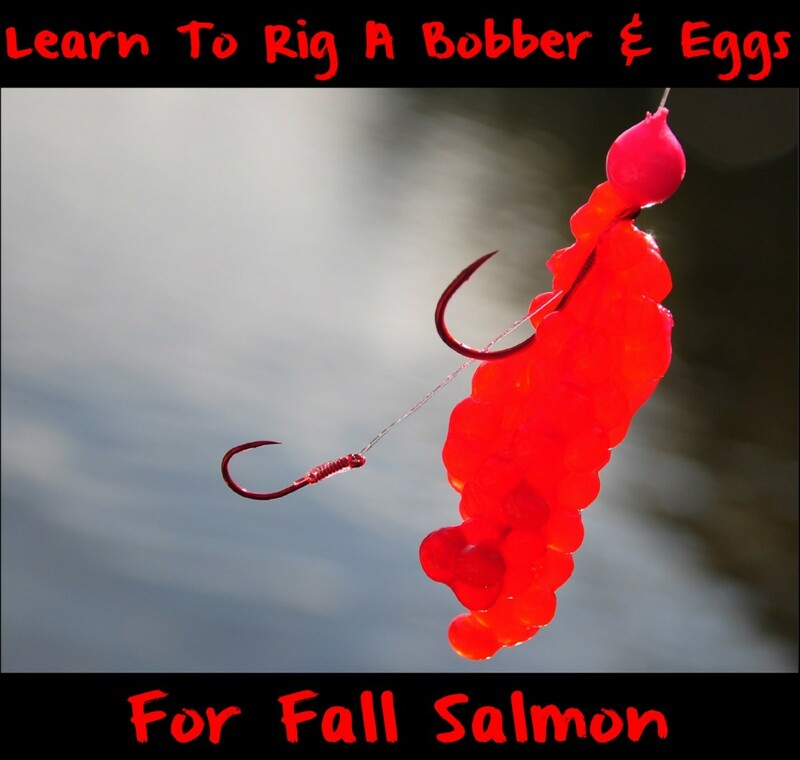 I love to twitch for coho, but if I could only use one technique for all salmon, float fishing with eggs knocks the socks off any other technique. Tie a bobber stop a few feet above the end of your mainline. I use 30lb Power Pro for salmon and steelhead. Thread line through a bead. The hole of the bead must be small enough to stop when it hits the bobber stop (the whole idea of the bobber stop). The bead also acts as a bumper between the bobber stop and the float. Thread the line through your float. I’m partial to West Coast style floats, but any float will do as long as it’s sufficient to maintain buoyancy with 1-3 ounces of lead with a cluster of eggs in tow. 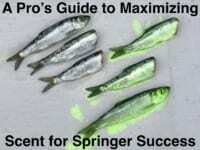 In slower and shallow water use one ounce. Meanwhile, deeper and faster water is best with two-to-three ounces. You want the bait to fall into the zone, but not take the float down with it. Now that your line is through the float, thread another bead on as a bumper between the float and a swivel yet to be tied. Tie on a quality swivel of the style you like with a Palomar knot. I prefer a Sampo ball bearing barrel swivel. Tie a 25-pound mono or fluorocarbon leader (that you’ve already tied) to a 2/0 hook with an egg loop, and tie it to the barrel swivel with a reverse clinch knot or one of similar breaking strength. The leader should be two feet long. A two-foot leader ideal; anything much longer and it defeats the purpose of the weight, which we’ll have between the eggs and the float. Time to add weight. In most cases hollow core lead attached to the tag end of the mono knot (the one attached to the swivel) is all you need, nothing fancy. If you hang up the lead slips off leaving your rig intact. The bait itself is semi-buoyant, which is a good reason for the shorter leader. The most important part is bait. 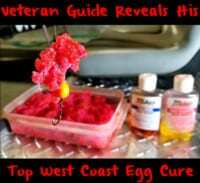 I like to take a golf ball size cluster of Pautzke cured eggs (see my favorite salmon cure recipe below) and attach it to the bait loop of a 2/0 hook. As with any form of float fishing we need to be near the bottom. The weight should be about a foot off the bottom. Adjust your bobber stop until it’s there. The eggs (being semi buoyant) “float” downstream and somewhat upwards from your weight. Here’s where you can see too long of a leader could actually take your eggs right out of the zone. Salmon love to munch on eggs. Therefore, you’ll get those “swirl” bites. When casting, try to gently lob your eggs. Too hard with the cast or a whipping motion and our eggs will continue to fly as your weight and float hit the water. If you’re having some difficulty with straight eggs make a cocktail by adding a sand shrimp tail to the bait and you have a killer combination. I soak shrimp in Pink Fire Dye. *Below is the cure I use for fall salmon. *All eggs to soak up to four hours. With only two skeins three hours is enough. Editor’s Note: Award winning author Terry Wiest is based in the Pacific Northwest. He’s the mastermind of Steelhead University. For more information please visit http://steelheadu.com.